s more complex. Some people might question if the historical events are even true due to the lack of information or if they are just from children stories being passed on from generation to generation like lost cities. Here are some odd famous historical events that might have some information lost or it still remains a mystery. that the island is adjacent with the Greek Island of Santorini. However, there is debate as to the location of the island because some feel that it might be in the Atlantic Ocean near the Azores Island. The Greek Philosopher Plato was the one that first started to write about Atlantis and over these thousands of years people continue to be fascinated by it and try to even find the city. A lot of movies and books have been made based off this historical event. 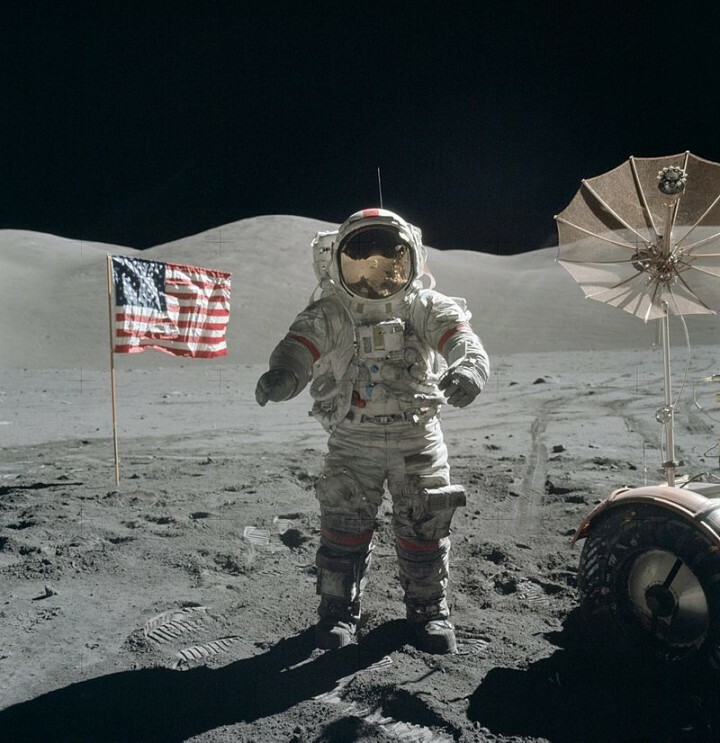 The man on the moon landing is one historical event that people still talk about even today. The event happened back when President John Kennedy was in office. Movies have been made from the lost city of Atlantis but movies have also been made from the man on the moon landing. Many people now dream of one day being able to land on the moon. It was really a sight to behold back in those days and it is still a sight to behold now when watching the movie. This is one odd historical event that many people might not know about these days. Back in 1641 the merchant royal shipwreck was known to have lots of valuables on board. The ship had at least $1 billion dollars worth of gold, $1 million worth of Mexican silver which would equal to 400 bars plus on top of that it had 500,000 coins. The story behind the shipwreck was not caused by pirates. The ship started to sink 40 miles off the coast of the Cornwall due to bad weather. It encountered some weather that was very rough and it lost control. The Odyssey Marine Exploration Inc. of Tampa Florida discovered the ship and they announced it back in 2007 how much it was worth. They did not release the name of the actual ship for security reasons so it is only rumor that it was the Merchant Royal but there is a very good chance that it was that ship and if so, more coins and treasure still need to be found. Just recently back in 2004 there was a Tsunami that hit that will never be forgotten by some people. The death toll was a staggering 240,000 people. Some of the citizens that are rural and traditional only survived because they knew the warning signs. When the tribesman was questioned about their survival they said that the earth started shaking and whenever the earth starts to shake that meant the sea would be coming into land soon and they started fleeing towards the hills. It was because of this that there were not a lot of casualties in the villagers. Back 2,000 years ago it is believed that the battery might have already been invented back in 1936 by Baghdad. Voltage was produced when the acidic was added in. Vinegar, grape juice and lemon juice was some of the things that it was able to produce. It’s also believed that layers of thin gold were used with being able to electroplate the items. Others think that this was just a mere coincidence and that there was not electrical charge when it happened. We might not know for sure if it did happen but it is interesting to think about and ponder upon. One event that remains critical was when the colonies of the USA revolted against King George the III. It will always be remembered that British soldiers started firing on the nearby civilians. President John Adams defended the soldiers. Lawyers in Boston refused to take the case and while President John Adams was at first hesitant he decided to do it. When he took the case he found 6 men were afraid for their very own life and felt that they had the right in regards to defending themselves. However, two of those men also were convicted of murdering people. Back in those days there was a loophole in the law where if men could actually read they could claim clergy and therefore, they would not be bound by the secular law. He read the Bible out loud and the charges got reduced and they only had to face manslaughter. Scientists felt that they recently discovered the Holy Grain in Iceland. If so then this would be the Holy Grail in which Jesus drank at the Last the Last Supper. The location of the Holy Grail is said to be in a rural district known as Hrunamannahreppur which is southwest of Iceland. They also found a very strong correlation that was between the painting of Leonardo Da Vinci and the Last Supper with the map of aerial of Iceland. Right now it is not known rather the Holy Grail is just some kind of ancient myth or if it is real. The news got in that the Russian Military ended the standoff with holding 850 hostages by the Chechen separatist group that was in Moscow they started to focus in on a rescue that would have to be dramatic. Olga Romanova often times is overlooked but when this happened she was considered a hero. Romanova was simply just a 26 year old clerk at a perfume shop and found out what was going on. She felt that she could reason with those terrorists and talk with them to try and get the children and the women free. Romanova bypassed the security somehow and entered in the theater. She talked with the rebels and also pleaded for the release immediately of the hostages. The terrorists suspected that she was with the FSB and took her to a room and executed her by shooting her in the head. The Dead Sea Scrolls has exactly 900 documents. The documents were discovered between the years 1947 to 1956 in the West Bank of the ruins near Khirbet Qumran. The documents found have so far been the only ones discovered before the year 100 AD. One document that continues to fascinate people is the one known as the Copper Scroll. It was written in the Hebrew language on a copper sheet that was very thin. It also has locations to where some gold plus silver might be hidden. The hidden treasure still cannot be interpreted to this day but Mt. Garizim is mentioned on it. A mystery that has been fascinating and mysterious now for generations is the great pyramids of Egypt. There are a lot of mysteries that surround the big structures. Scientists have been working hard on discovering the answers and some feel they have discovered them while others continue to debate it. Some feel that the pyramids were built around the year 3200 BC and others feel it’s around 10,000 years old or possibly older. There are also many theories as to how the pyramids came about in Egypt because they did not have the tools that we have today to build such amazing pyramids.